In the Hindu tradition, it is believed that Akshaya Tritiya was the day Lord Ganesha set out to write the epic work Mahabharata. It is believed that Akshaya Tritiya is an auspicious day to invest in gold and buying gold on this day adds to the prosperity and wealth of the buyer. 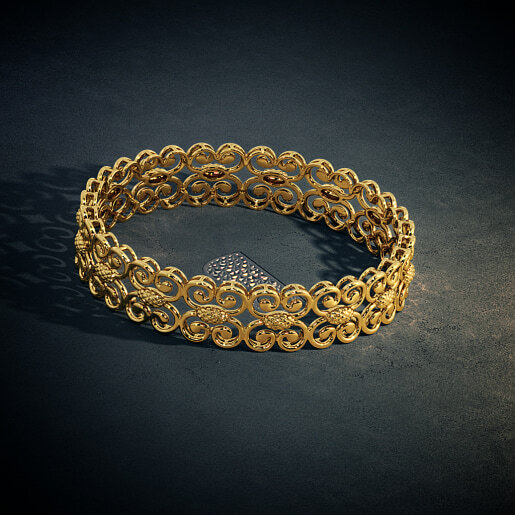 Akshaya Tritiya or not; gold is an investment like no other and use Akshaya Tritiya as a reason to splurge more on gold. 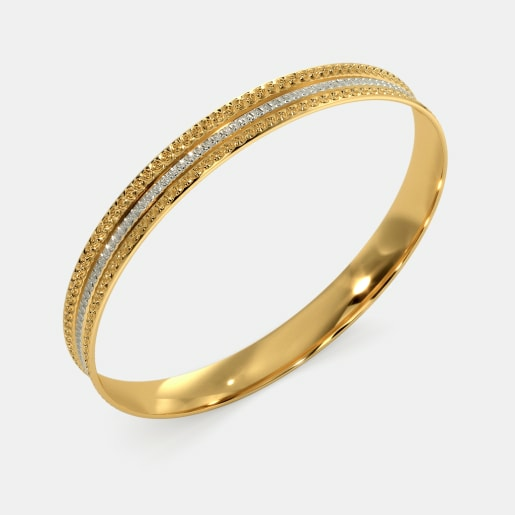 The designers at BlueStone bring to you exclusive Akshaya Tritiya bangle designs. Let your golden journey be fulfilling and rewarding. 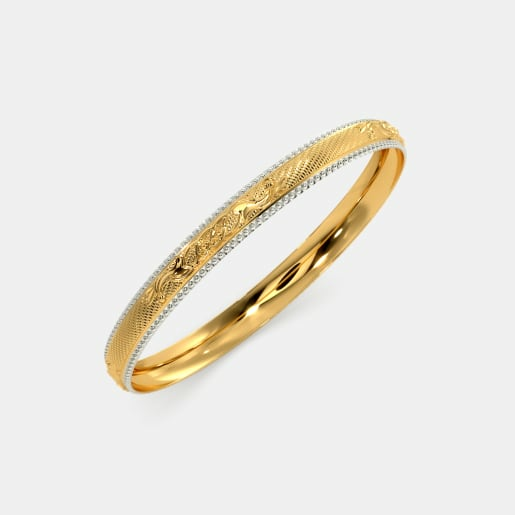 What’s more, we have various bangle designs for men too in this enticing range. According to popular belief, any venture started on the day of Akshaya Tritiya will be rewarded with fortune and good luck. 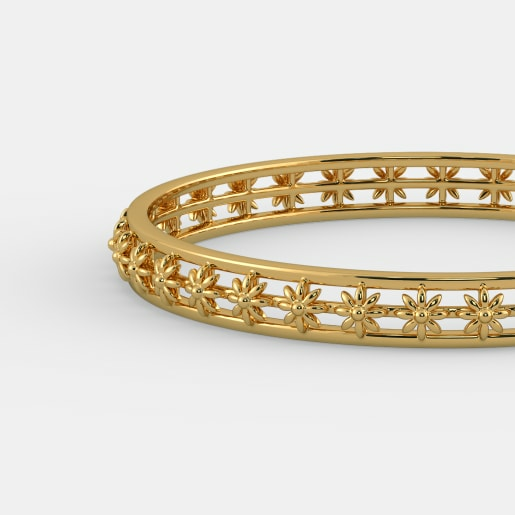 Attract the positivity into your life with our Akshaya Tritiya bangle designs for women. 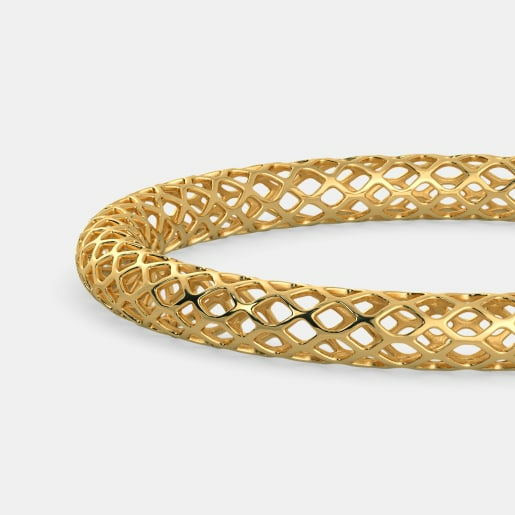 The Mila Bangle has an intricate lattice pattern carved in gold. 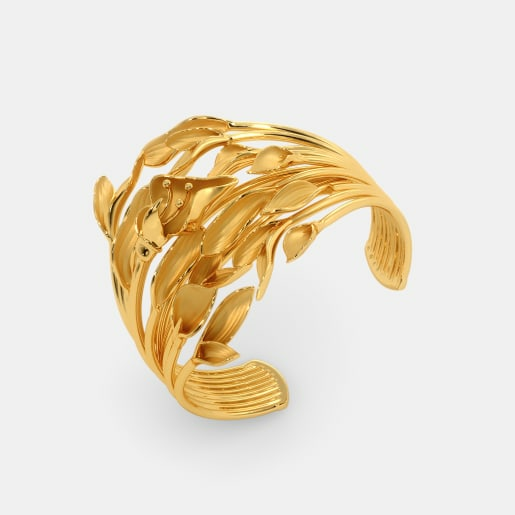 The Influential Structure Bangle has an ornate and sleek free-flowing pattern in gold. 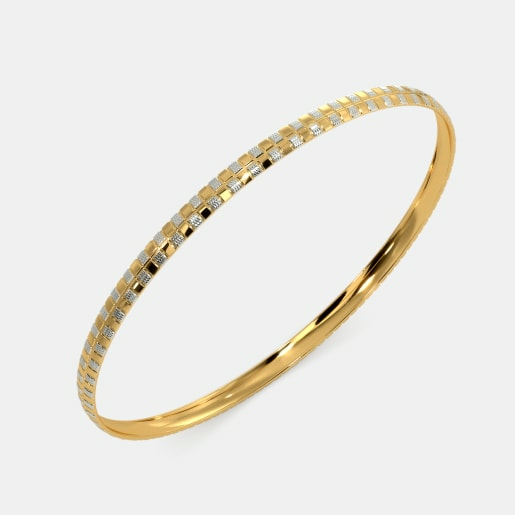 If you want to give the traditional bangle designs a miss then look no further. 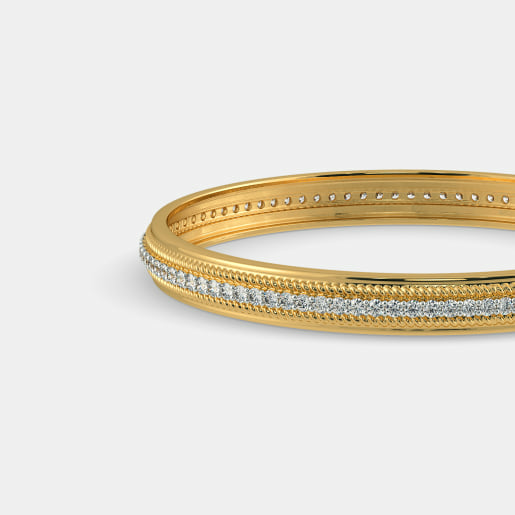 The Entrapped Elegance Bangles combines the charm of round and oval bangles in its entwined design. The Dizzying Dapper Bangles and the Sylvan Decked Bangles with their stunning designs will make your wrist look slender and slim. While we all know that women have worn bangles from ancient times, bangles for men, called the kada, have a huge fan following too. 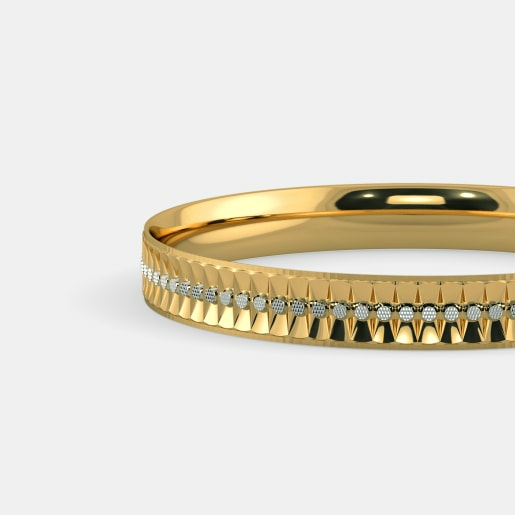 Our fusion collection features the open kada for men. Ease of wearing of makes the kadas a favourite with men who want to sport wrist adornments. Take a look at the Mayank Aum Kada for Him that has a creative and brawny design in gold and this tow-toned piece is a must-have if you fancy wearing brilliantly designed kadas. 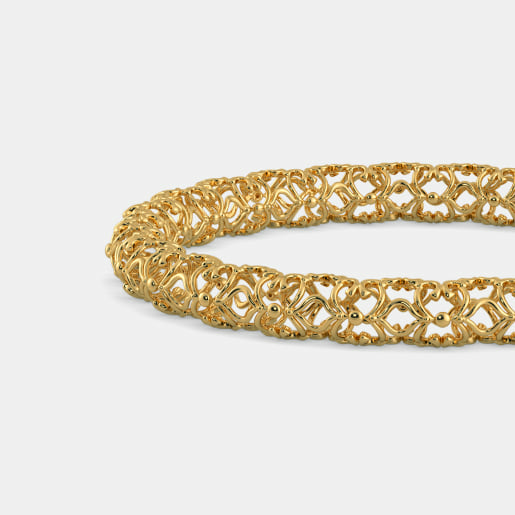 As per Hindu tradition bangles are not just ornaments but are considered to be highly auspicious too. The baby shower in South India is not complete without the Bangle ceremony or Valaikaapu where an expectant mother is decked with bangles. 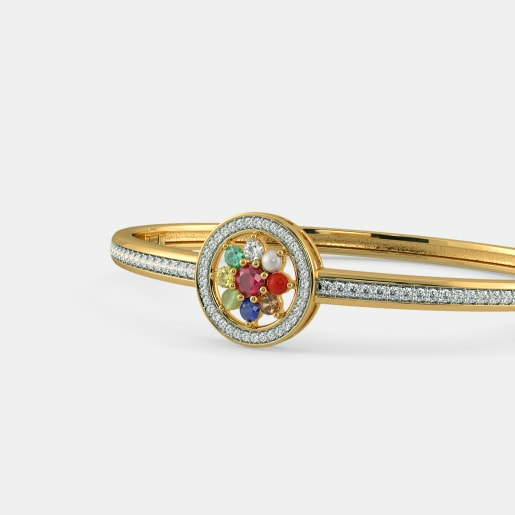 In the showstopper bangle collection for women, you can find festive designs and everyday wear. Ornate and intricate designs like the Monica Bangle and the Zoey Bangle have the grandeur that will match your festivities. 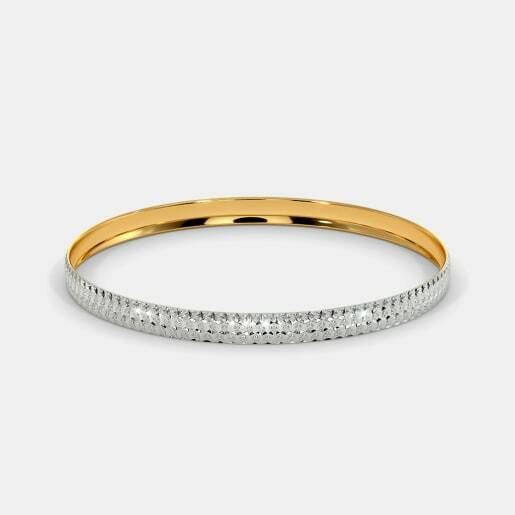 The Marcia Bangle combines the charm of a bracelet and a bangle with an easily wearable design. 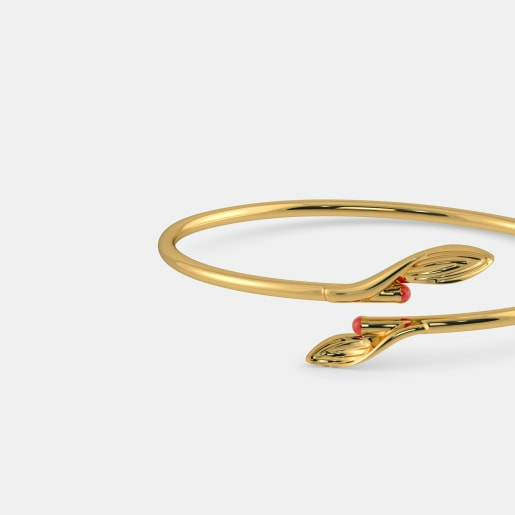 Our everyday wear bangles in this collection are designed to withstand the wear and tear and hence the designs are simple yet stylish. 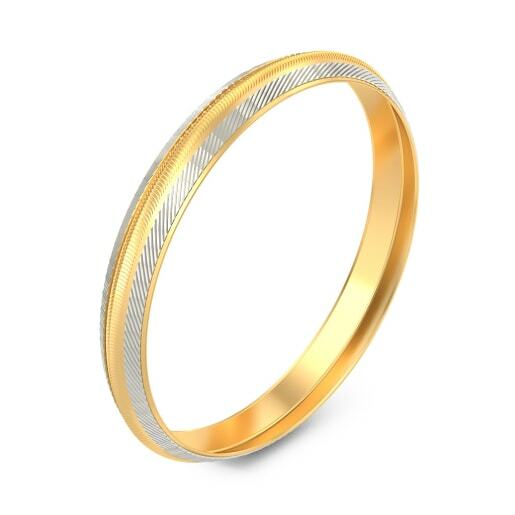 The Tone Trump Bangles has alternating strips of white and yellow and look classy even in its minimalist designs. 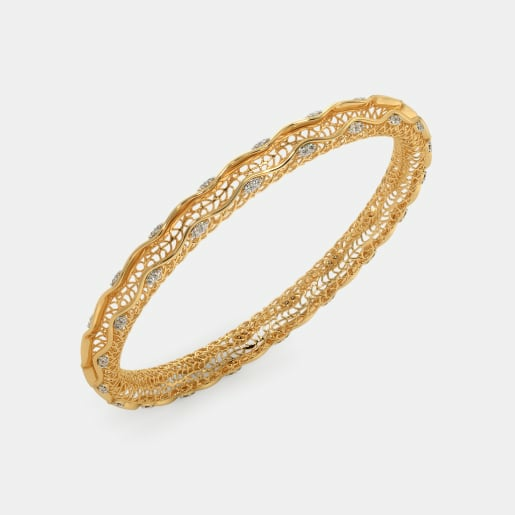 The Shapely Guised Bangles which is also a part of our workwear range has a unique shape that is rarely seen in bangles. 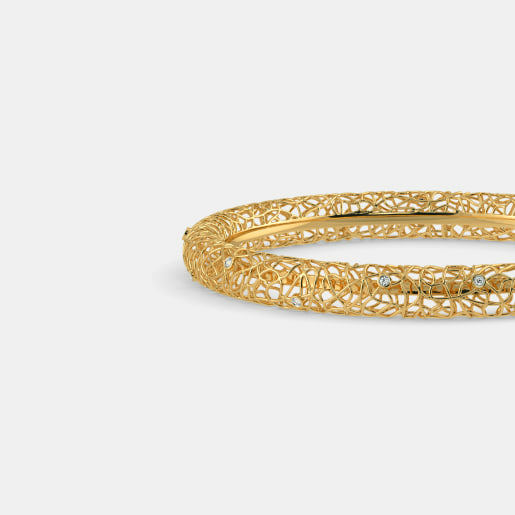 The Chisel Vision Bangles with the stunning round design is enchanting too. 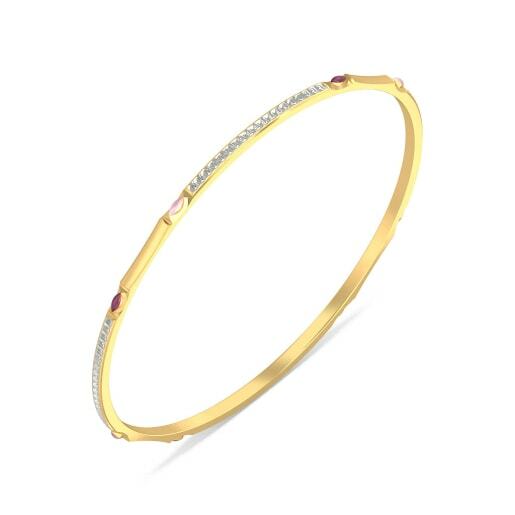 While round bangles are classy and traditional, oval bangles bring together the elegance and convenience of a bracelet to bangle designs. 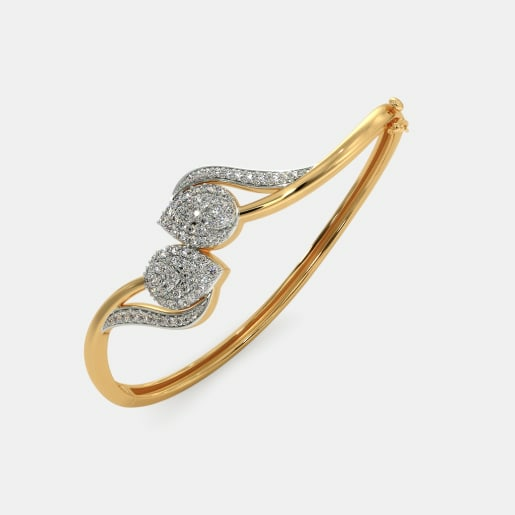 We have aesthetic and appealing designs like the Careen Axis Bangle and the Synced Affection Bangle in this range. 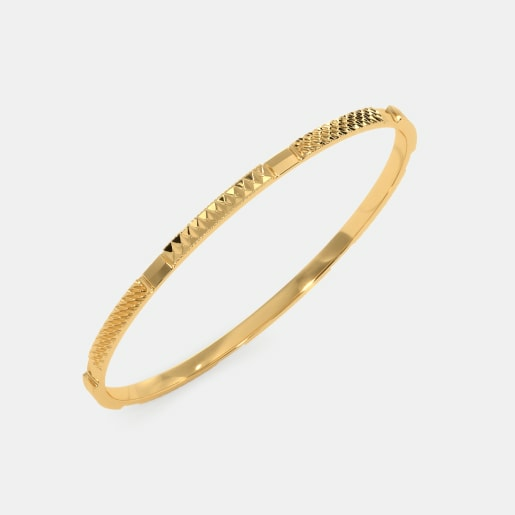 Bangles or kadas for men make not just fashion statements and you will know why that is so when you check our Akshaya Tritiya bangle designs for men. 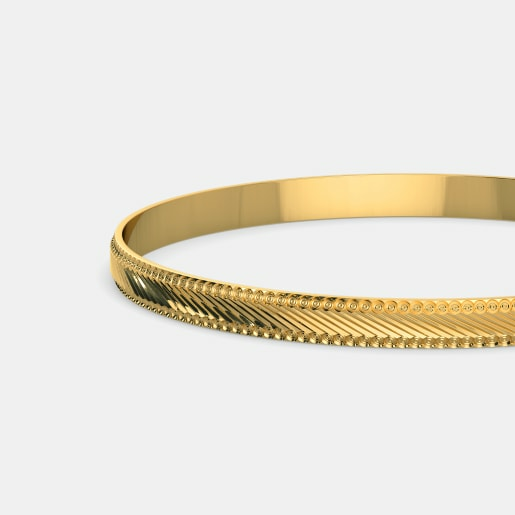 The fashionable and stylish Devrath Kada for Him with the rugged pattern in gold is a solid design that men would love to sport. Choose the classic Arjun Kada for Him or the Eklavya Kada for Him if you want the smooth finish. 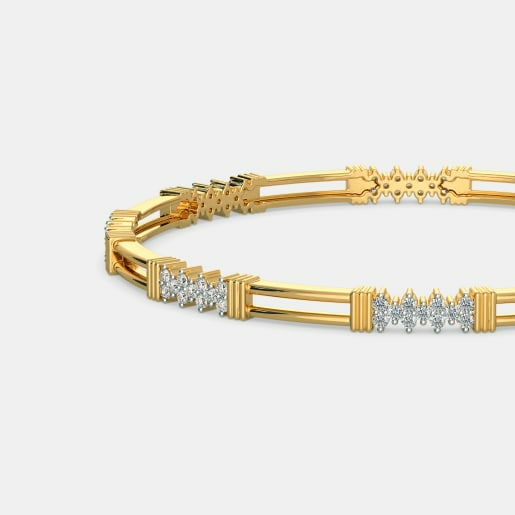 The Vashisht Kada for Him is two-toned with the contrasting yellow and white colours while the Vans Kada for Him and the Agastya Kada for Him have subtle and minimalist designs that are best suited for the modern men. 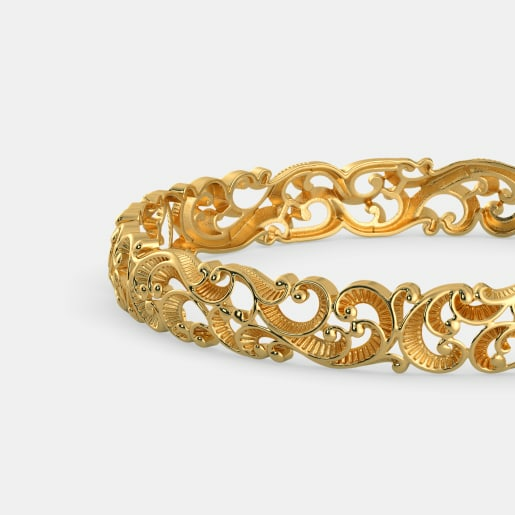 Celebrate Akshaya Tritiya with our masterfully crafted bangle designs. Don’t let escalating gold prices worry you any further. 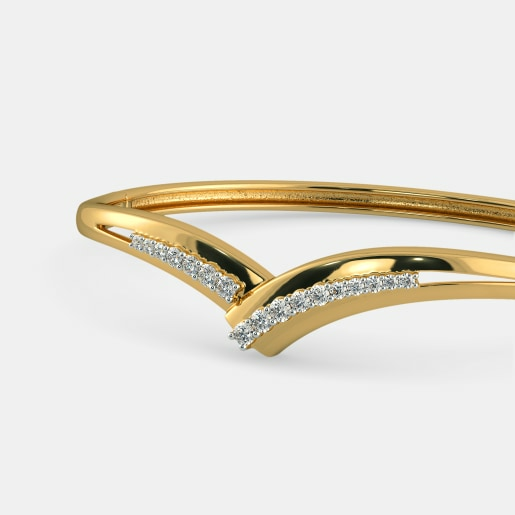 We are committed to quality at a customer-friendly price range and our Akshaya Tritiya bangle designs prices are another testimony to that. Explore the range and buy the designs that you love without worrying about your budget.